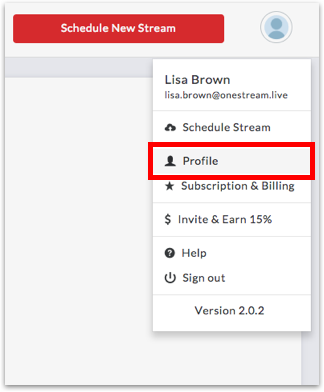 From your OneStream dashboard, click your profile picture on the top right and select Profile. Scroll down and click Delete Account. 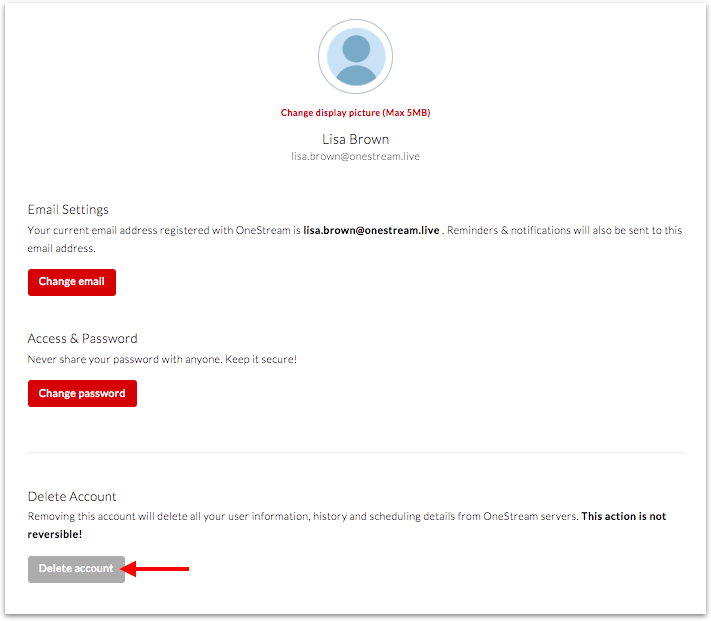 Type DELETE (all capital letters) to confirm that you want to delete your account and click Delete Account button. Once you delete your personal streaming data, there is no way to recover it. It will be gone FOREVER. However, your streamed videos on different social media platforms stay on those platforms. To delete those, you need to contact the destination platforms where streams were sent.